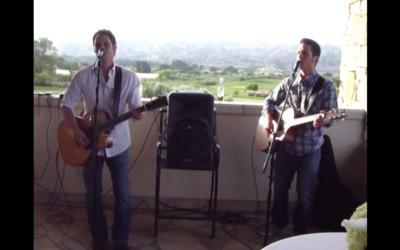 Jake and Drew, is an acoustic duo playing popular cover music from the 1960's and 70's to the present day. 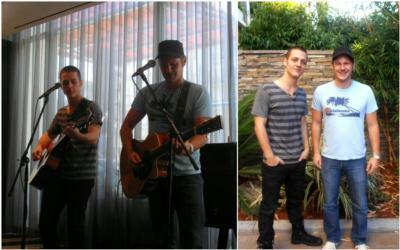 With over 20 years combined experience, Jake and Drew know what it takes to entertain a party and keep a crowd alive. Both Jake and Drew come from small country towns in the Midwestern United States and have spent a lot of their time traveling the rest of the country playing music for as many people as they can. Their fine mix of soulful vocals and smooth lead guitar combine to create a sonically moving, multi-sensory experience that everyone can enjoy. Check out this review from SavorHour.com! "An acoustic talent that forces one to think, urges one to reflect and encourages one to be inspired. Together, their life-enriching, top-notch sound and touching method of delivering happiness to all who listen to their music will leave you spellbound." They were fantastic. Played great music, were accessible and had fun with the crowd. Please note Jake and Drew will also travel to Alhambra, Bell Gardens, Glendale, Huntington Park, Maywood, Monterey Park, Bell, Hollywood, Pasadena, South Pasadena, Montebello, South Gate, Burbank, Beverly Hills, Inglewood, Rosemead, San Gabriel, San Marino, Culver City, Downey, El Monte, Lynwood, Pico Rivera, Toluca Lake, Universal City, Willowbrook, Compton, La Canada, Montrose, North Hollywood.